Entry fee: $35 for up to 2 digital Images – jpeg format only, 72 or 300 dpi, not larger than 1,000 pixels on longest side. The entry fee is NON-REFUNDABLE. By applying to the show, artist acknowledges that fee is nonrefundable. Before entering, artists should ensure that work is available to exhibit during the dates of the show (remove work from all shows, galleries and online sales sites). 1. A maximum of two entries per artist is permitted ($35 for up to two). Entry fee of $35 is not refundable for any reason. 2. One image (jpeg) per submission. 3. Any work previously accepted into an Arlington Artists Alliance juried show (Gallery Underground/Gallery Clarendon) will not be accepted. 4. All Works must be original, entirely the work of the Artist, and not based on or incorporating copyrighted work by another artist or photographer unless artist has obtained permission to use copyrighted work. This also applies to computer-generated and digital work. 5. No giclees, prints or other reproductions except photography and hand-pulled works will be accepted. 6. Two-dimensional work may not exceed 60 inches high and 48 inches wide nor weigh more than 50 lbs. 3D work may not exceed 6 feet on its longest side, and must weigh less than 75 lbs. 7. By entering artwork(s) in this show, Artist agrees that these works are currently available - not currently in any other show, on any online or other sales venues or otherwise unavailable to deliver to show if accepted. 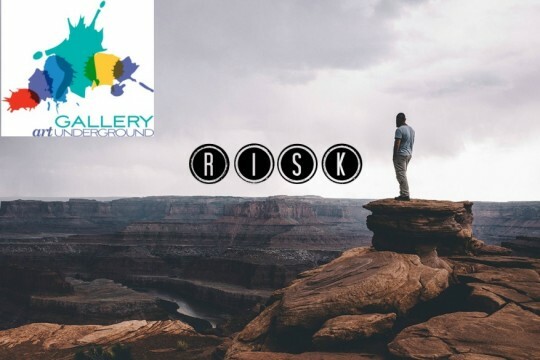 Artist agrees that any accepted work will be available to deliver by deadline specified and will be removed from any online sales venue until close of show. 8. Artists may not substitute another work for an accepted work, alter a work, change the sales price, or withdraw or remove a work after it has been accepted. 9. All work must be for sale, priced at $100 and up. No work accepted and hung in show may be removed by artist until close of show. Work is considered consigned to Gallery Underground, who will be the exclusive seller of the work for the duration of the show. 10. All two-dimensional works on paper must be matted under glass or plexiglass. 11. Photographs printed on stretched canvas will not be accepted. Photographs framed under glass or plexiglass must be matted. Photos mounted on metal and photos under glass without a frame are acceptable and do not need a mat, as long as the backs are wired for hanging. Photographs should be signed, either on the mat or on the photo. Please email curators if you have any other method of displaying photography. 12. Works on gallery-wrapped canvas must have sides painted with no staples showing. 13. All work must be ready for presentation with the appropriate framing. Framing standards will be sent upon acceptance of your work. Work not meeting these framing standards will not be hung. 14. Gallery Underground reserves the right to refuse any entry which does not match the images submitted or meet the criteria enumerated here. $35 entry fee is not refundable in the event work is rejected for not meeting these criteria. Artworks will be hand delivered on Saturday April 27, 2019 between 10AM and 2PM. Shipped works must be received by 9AM Monday April 29th, 2019. Any work not received by 9AM Monday April 29th, 2019 will not be hung. Shipped work must be delivered during gallery hours of Mon - Fri 10AM - 6PM and MAY NOT CONTAIN PACKING PEANUTS. Any work not picked up within 30 days from date of pickup (May 25, 2019) will become property of Gallery Underground. Notification of accepted or non-accepted work will be via email as early as possible after deadline, but no later than Friday, March 29, 2019. Sales will be promoted. All work must be for sale, priced at $100 and up. 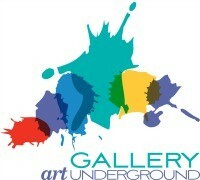 Gallery Underground will retain a 30% commission on all sales (20% for current Arlington Artists Alliance members). Gallery Underground reserves the right to use entry photographs for purposes of publicity, documentation and promotion. 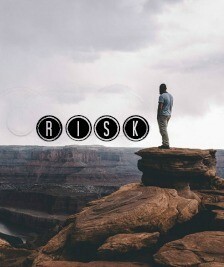 Submission of entry constitutes an agreement on the part of the artist to comply with all of the conditions and terms contained in this prospectus. No work accepted into this agreement may be withdrawn prior to the close of the exhibition. All decisions of the Juror are final. REFUNDS WILL NOT BE GRANTED TO APPLICANTS WHO ARE NOT IN COMPLIANCE WITH THIS AGREEMENT. Artist Allen Bentley received his Master’s of Fine Art from the University of Pennsylvania in 2000 and his Bachelor’s of Fine Art from Western Carolina University in 1996. Bentley was represented by the Bridgette Mayer Gallery in Philadelphia from 2001 to 2013. He has exhibited across the country, with solo exhibitions in Philadelphia, New York, Chicago, and San Diego. He has shown in the Philadelphia International Airport and in Artworks at the Philadelphia Museum of Art. In 2009, Bentley had his first solo museum show at the Delaware Center for the Contemporary Arts in Wilmington, DE. He teaches Figure Drawing and Drawing at Montgomery College in Rockville, MD and serves as chair of the Christopher Lyon Scholarship selection committee at the University of Pennsylvania. First time using this site? View the tutorial, below: Click on the "start" button to start the video and then click on the "full screen" square icon in the lower right corner to enlarge the video.